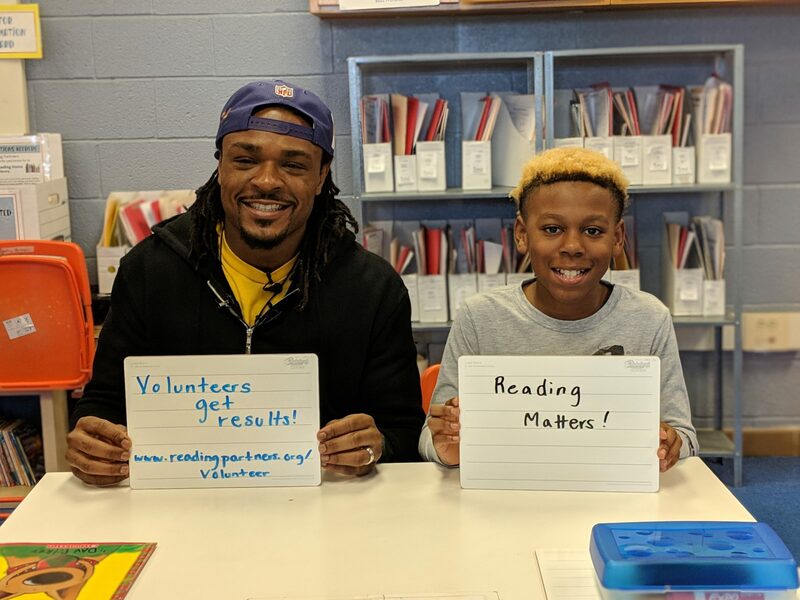 Reading Partners is a children’s literacy program that brings community volunteers into neighborhood schools to provide one-on-one reading support using a proven, evidence-based curriculum to ensure students are on track to read at grade level by fourth grade. Volunteering with Reading Partners as a tutor for as little as one-hour per week with one student is one of the easiest ways to make a lasting, proven impact on your community and on the futures of local students. We have 3 quick steps to get you started: register online & choose a site, attend an one-hour orientation, and complete a free background check. We currently have 250 students waiting for a tutor to be enrolled.